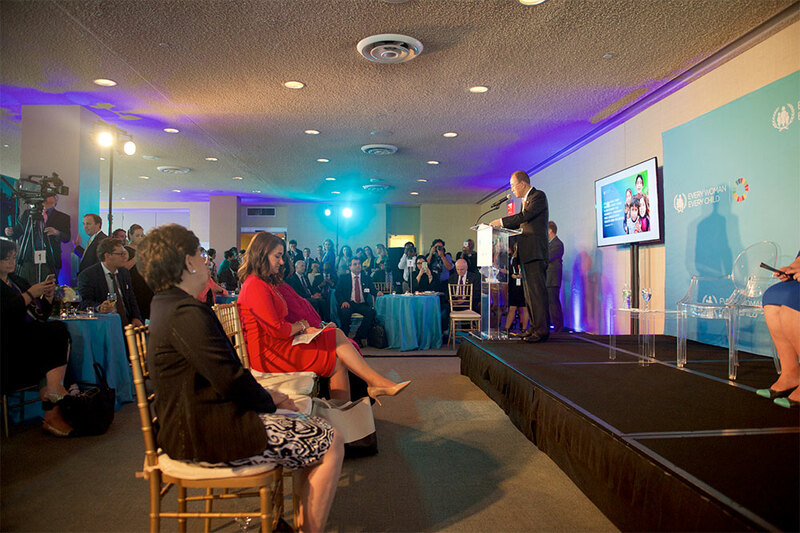 The UN Secretary-General was joined at the event by members of the High-level Advisory Group for Every Woman Every Child and commended their efforts championing the movement, as well as calling for commitments and political support at the highest levels. Mr. Ki-moon announced that the High-level Advisory Group will evolve into a Steering Group for Every Woman Every Child to help ensure that the movement continues strong, with leadership from many countries and leaders from many different sectors, keeping women’s, children’s and adolescents’ health and wellbeing at the core of sustainable development efforts. The UN Secretary-General also highlighted the Global Financing Facility in support of Every Woman Every Child, a pathfinder for innovative financing which will help implement this vision. During the event, the UN Secretary-General, Prime Minister Erna Solberg of Norway, and World Bank Group President Jim Yong Kim released The Global Financing Facility: Country Powered Investments in support of Every Woman, Every Child, which includes 31 statements by heads of state, governments, multilateral organizations, private companies, foundations, civil society organizations and others that demonstrate their commitment to the Global Financing Facility (GFF) in support of Every Woman Every Child. 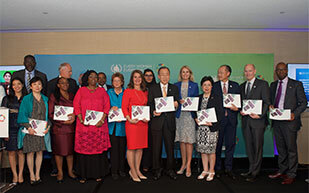 New commitments in support of the Global Strategy for Women’s, Children’s and Adolescents’ Health were announced at the event, corresponding to over $2 billion in pledges. The new pledges, which will be monitored and reported upon every year as part of broader SDG follow-up and review processes, will help improve the health and wellbeing of women, children and adolescents in all settings. 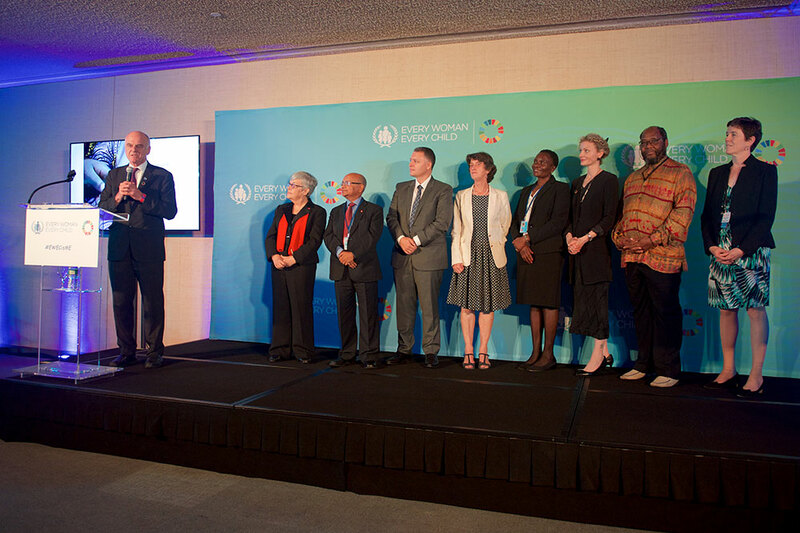 Pledges annouced at the event included a $2 billion commitment by Save the Children focusing on global health and nutrition work, in both development and humanitarian settings, for the period 2017-2021 and a commitment by the Caribbean Community focusing on opportunities to improve the lives of women and children by promoting partnerships, coordination and coherence in efforts in the region. Pledges also included the creation of the BabyWASH Coalition—World Vision International, WaterAid, FHI 360, the World Health Organisation, UNICEF, and Action Against Hunger—a multi-stakeholder platform to increase the focus on integrating programmes for children and their caretakers in the first 1,000 days of life, as well as the renewal of the Inter-Parliamentary Union commitment to elevate women’s, children’s and adolescents’ health to the top of legislative agendas. 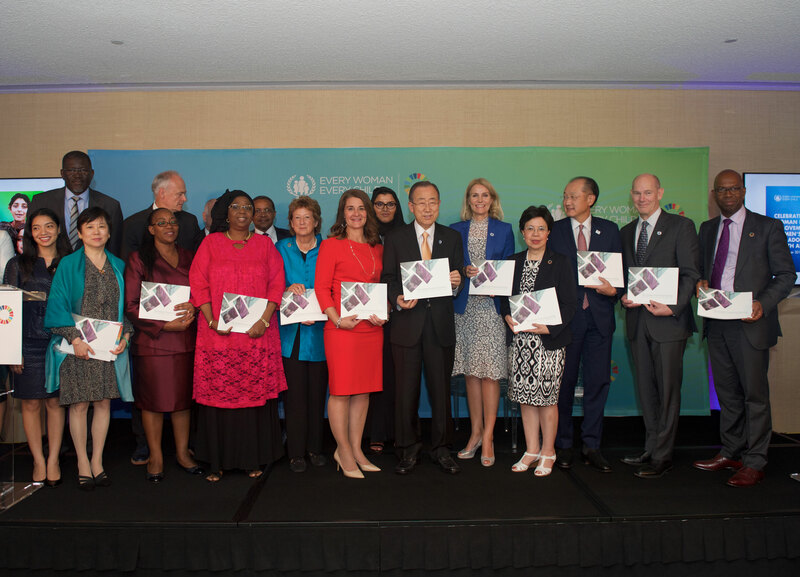 Please click here for a summary of all new commitments to the Global Strategy. The event was closed by the UN Secretary-General Special Adviser on Agenda 2030 and Climate Change, Dr. David Nabarro, who received the first report of the Independent Accountability Panel “Old Challenges, New Hopes: Accountability for the Global Strategy for Women’s, Children’s and Adolescents’ Health,” presented by Ms. Carmem Barroso, Co-chair of the Panel. They were joined on stage by all IAP members, including its recently appointed new Co-chair, Mr. Kul Gautam, from Nepal. “I am honoured to have spearheaded this movement since 2010. We have accomplished many things together. We have faced challenges and found solutions. My wish is for this community to continue strong, united and central to development efforts in the years to come so we can truly deliver health and well-being for women, children and adolescents everywhere. That is the route to a more prosperous, more inclusive and more equitable future. Let us leave no one behind,” concluded the UN Secretary-General Mr. Ban Ki-moon. 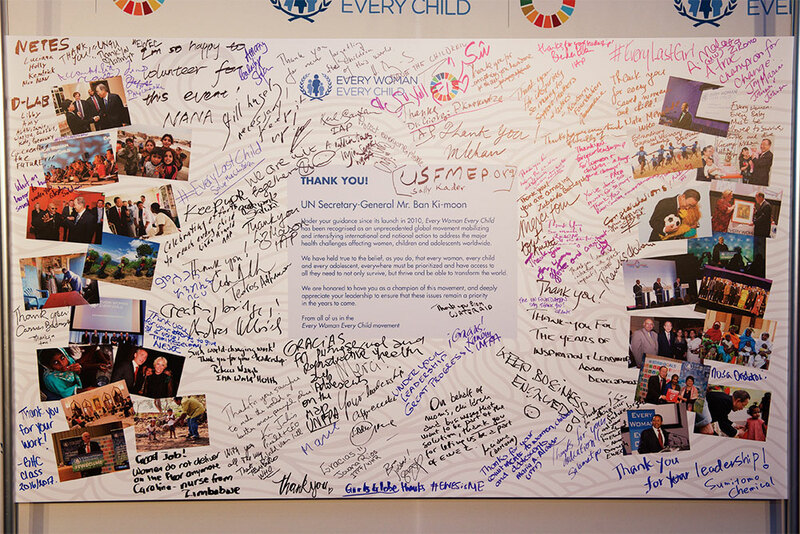 Guests at the reception were invited to sign a “Thank you” wall for the Secretary-General. The panel was filled with more than 300 signatures from representatives of the Every Woman Every Child community, who subscribed to the message below. Under your guidance since its launch in 2010, Every Woman Every Child has been recognised as an unprecedented global movement mobilizing and intensifying international and national action to address the major health challenges affecting women, children and adolescents worldwide. We have held true to the belief, as you do, that every woman, every child and every adolescent, everywhere must be prioritized and have access to all they need to not only survive, but thrive and be able to transform the world. We are honored to have you as a champion of this movement, and deeply appreciate your leadership to ensure that these issues remain a priority in the years to come.